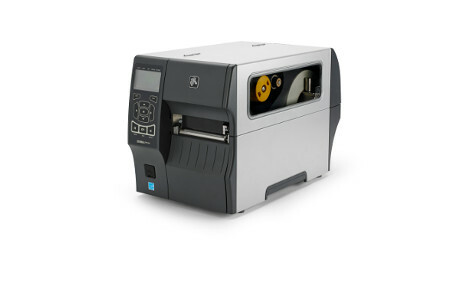 RFBS supply stationary label printers from Zebra and Intermec. Desktop label printers quickly produce large numbers of labels from a central point. Desktop printers can print both thermal direct (temporary labels) and thermal-transfer labels (permanent). Printers are network enabled, allowing easy integration with WMS and ERP systems. Label printers support printing via label design software, like Seagull Scientific's Bartender as well as supporting direct integration using ZPL, XML and FingerPrint. RFBS also provide mobile label printers for on-demand label printing. MDI International use the Intermec PM43 label printer to produce labels during their picking process. As soon as a picker drops off his pallet and requests a new order, the PM43 automatically prints an identifying label for the next pick slip assigned to the worker.